Following a large earthquake, India was struck by an abnormally large tsunami. This wiped out many homes and devastated communities. People in Monterey County reached out to Global Uplift and started sending checks without any solicitation to perform relief work in India. Grace Cosentino called Peter Shah on Sunday and pledged money to India. Mike Trescony handed over a check as well. Dr. Kumar of Los Palos Medical Group personally donated money. John Hambey from Soledad also wanted to donate money. Eric Liitschwager wanted to go with his father-in-law, who is a contractor, to do charity work in India. Due to this outpouring of support from the people of Monterey County, Peter Shah of Global Uplift called Wilbur Stevens and Jim Sloan and resolved to adopt a village in the affected disaster area to rebuild it. Peter Shah’s father was the late governor of Madras (Tamil Nadu). He was therefore able to talk to the Secretary to the Governor of Tamil Nadu and propose a plan to rebuild an entire village. She called him back at once and was pleased to state that she would be able to identify two villages in Nagapattam and either one of those villages could be adopted. 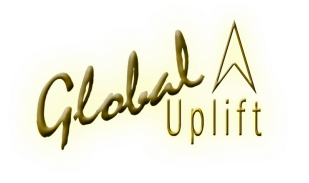 Global Uplift began a project to build homes in Nagapattam, India. The donations raised from this were significant enough to build the “New Monterey Colony.” People of the community were given homes inscribed with the names of donors.